A song about Sri Lanka's conflict. This is a Tamil made English song about the conflict in Sri Lanka and it's countless number of innocent victims that includs a large number of children and the youth. Bird Flu is the first single from MIA's 2007 album KALA. Single from MIA's debut album Arular. Galang is a single from MIA's debut album Arular, released in 2005. Mathangi "Maya" Arulpragasam, the daughter of a Tamil activist-turned militant, Arul Pragasam, was born in Hounslow, London. She is best known by her stage name, MIA. Her style contains elements of grime, hip-hop, ragga, dancehall, electro, reggaeton and baile funk. Her early underground singles, ‘Galang’ and ‘Sunshowers’, shocked listeners with sharp lyrics about urban unease thrown on top of raw beats you could dance to. In 2005 she released her debut album 'Arular.' MIA is also very popular for her fashion sense. Song from Rise of the Brammah's album. Song from Chakrasonic's debut album Kalai Oru Por. From Rise of the Brammah's album. Remake of an old Ilaiyaraja song. Songs from Chakrasonic's debut album of the same name Kalai Oru Por. The song Kalai Oru Por was the biggest hit from this album. 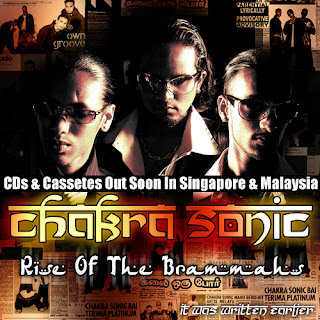 Chakrasonic is a Malaysian band made up of former backup dancers for the group Poetic Ammo. 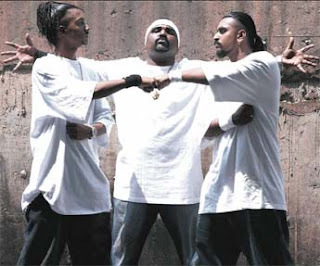 They left Poetic Ammo to form their own band in 2000, releasing their debut album Kalai Oru Por in 2001, which included the hit song Kalai Oru Por. In 2006, they launched their second album - Rise of the Brammah's in 2006. Song from Iraj's self-titled debut album. Tamil version of a hit Sri Lankan song. Megahit song by Iraj and Ranindu. This is not a Tamil song but I included it because Iraj has collaborated with a number of Tamil singers including Krishan. He has also sang or produced some Tamil songs. Popular song from Yogi B and Natchatra from the album Vallavan about the Indian girl. The hit song from the album Vallavan. This song is a remix of an old Ilaiyaraja number from the movie Nizhalgal. Yogi B, real name Yogeswaran Veerasingam, is a Malaysian rapper, formerly of the now-defunct hip-hop band Poetic Ammo. Most of their songs were in English but they also released tracks in Malay, Tamil, and Cantonese. Recently, Yogi B has teamed up rap duo Natchatra. The album Vallavan has been a huge hit in Malaysia and elsewhere. Their track 'Madai Thiranthu' has become very popular among Indians everywhere. This is a Shine song focusing on the ethnic conflict in Sri Lanka. The first Tamil song from Shine, it focuses on the victims of the conflict in Sri Lanka. 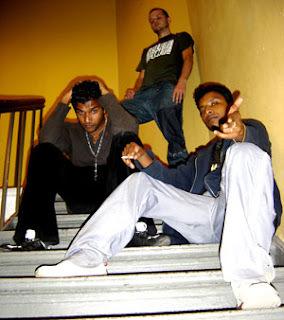 Shine is a Norway-based Tamil hip-hop group made up of two brothers, Sudas and Sahaya, originally from Sri Lanka. They were forced to flee to Norway in 1990. 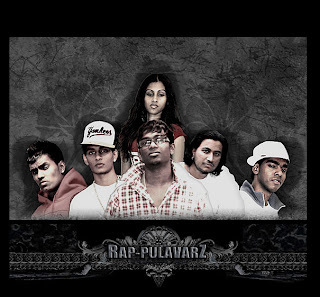 Their rap is usually in Tamil and English, but also features Norwegian lyrics in some of their songs. They have been a hit in the Norwegian underground scene. Their two latest songs, Ulagam Mudiyum Varai and When Will We Rise, are political in nature, focusing on the conflict in Sri Lanka. Shine's songs are released through Rough Rhythm Records. 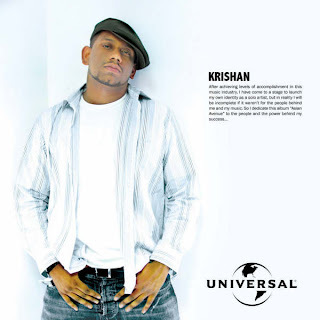 Krishan song featuring both Tamil and Sinhalese lyrics. The video is not original though, but the sound quality is good. Another beautiful Krishan song from his album Asian Avenue. Song about the tribulations of a Tamil youth caught up in the conflict. 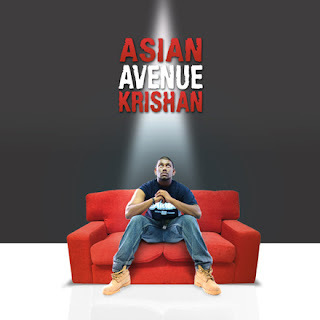 Asian Avenue is the debut solo album of Sri Lankan rapper Krishan. 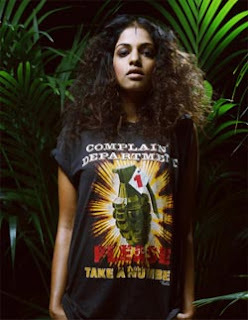 Asian Avenue comprises Tamil hip-hop in its purest form covering themes like the ethnic conflict, youth, love and drugs. The video below is an interview with Krishan on the making of the Asian Avenue album. Krishan Maheson, born in Colombo on May 4, 1983, is a product of Royal College and a final year BBA student from London Metropolitan University is the former member of hip-hop group Urban Sounds. Krishan started off his rap career at the raw age of 15 when he formed Urban Sound together with Brother Gajan Maheson. They created original hip-hop songs which were frequently played on all English Radio stations. Krishan has collaborated with the another popular Sri Lankan singer, Iraj, on a number of works including J-Town Story and Ran Ran Ran. His music incorporates Tamil, Sinhala and English. Tamil love song from Denmark. The music was composed by Logan & Thushanth, and stars Thushanth and Malena in the music video. Excellent music and expressive voice make this a superb independent Tamil song. (welcome in Sinhala and Tamil) in January 2007. These guys are as exciting as they are fresh. The mix of Tamil with German and English in the lyrics is exciting, although it also makes understanding of parts of the songs beyond a lot of people. 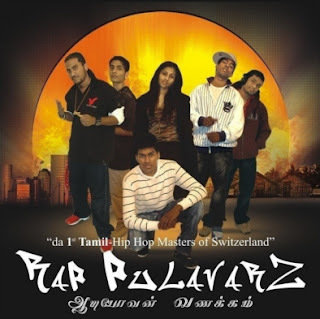 The Swiss accent in the Tamil rapping is particularly catchy. The music is exceptional and original. I am hoping for more egreat things to come from these guys in the future. At the very least, we all know there is now someone flying our flag in Switzerland. Boomerangx song featuring Alinda A. Alphonse, a local Malaysian singer. 'Cari Makan' literally means finding food in the local Malay language. Boomerangx is a Malaysia trio who made a huge splash in the local Tamil music scene with their debut album Nil Gavvanee in 2000. Songs from this album include Kanavae Kanavae, Nallavar Sollai, Moxsha, Mario, Nil Gavvane and Cari Makan. One of the hottest bands in the Malaysian scene with a loyal following.